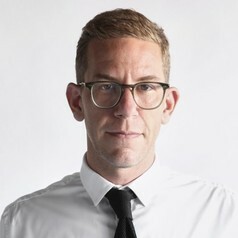 Craig Damian Smith is the Associate Director of the Global Migration Lab at the Munk School of Global Affairs & Public Policy. He earned his PhD in Political Science at the University of Toronto. His research focuses on irregular migration, displacement, European foreign policy, and refugee integration. His doctoral thesis “Malignant Europeanization: Schengen, Irregular Migration Governance, and Insecurity on Europe’s Peripheries” examines the effects of European migration governance on transit states. He has conducted several years of fieldwork throughout the Middle East, North Africa, Western Balkans, Europe, and Canada. His current SSHRC-funded research looks at the relationship between changes in US policy and irregular migration to Canada. In addition to his scholarly work, he has provided media commentary on migration and refugee issues to outlets including the BBC, CBC, and NBC, and various publications. Follow him on Twitter @craigdamian.